Blu Pointe overlooks the majestic Hudson River on the exciting Newburgh Waterfront. Take in all the beauty that the Hudson Valley has to offer all while experiencing the finest dining around. Enjoy the views from our open-air terrace or during the warmer months relax at our riverside outdoor patio bar. No matter what the occasion, Blu Pointe is the perfect place for you. 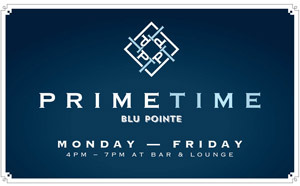 Friends of Blu Pointe will receive special offers, seasonal menus and exclusive event information. Please sign up today and thank you for supporting Blu Pointe. Our dock is closed for the season.